What is Cushings Disease in dogs? Cushings disease in dogs or Hyperadrenocorticism is an endocrine disorder that affects mostly middle age or senior dogs. The endocrine system produces a hormone called Cortisol that helps a dogs body deal with stress and keeps the immune system in check. In Cushings disease, the dog produces too much Cortisol. Up to 90% of those diagnosed are Pituitary Dependent, which is a small tumor at the base of the brain in the pituitary gland. Up to 20% of diagnosed dogs are Adrenal Dependent, which is a tumor that sits on top of the adrenal glands near the kidneys. Lastly, there is Iatrogenic Cushing’s Syndrome from steroid overuse. Cushing’s Disease in dogs has so many confusing symptoms. In fact, it might not be Cushing’s at all. In some cases, it’s just the thyroid acting up, diabetes, or maybe just the aging process. Or possibly, it could be pre-Cushing’s, so seeing your veterinarian and having your dog diagnosed is essential. Many dogs have only a symptom or two that can be attributed to aging and go undiagnosed. It’s best though if you have a few symptoms and the financial means to get your dog tested. Urinating frequently and having accidents, Ravenous Hunger, Excessive Panting, Distended Belly (Pot Belly), Thirst (drinks copious amounts of water), Obese Hair Loss, Lethargy and Fatigue, Muscle weakness Dark and Thin Skin (Skin Infections) Bruises easily, Aggression, Confusion. 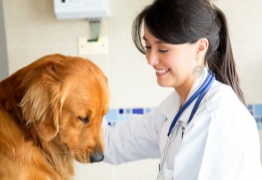 To diagnose Cushing’s disease in dogs, your veterinarian will discuss with you symptoms that you have noticed and perform a complete physical exam looking for specific physical attributes like a distended belly which is related to the disease. They will then run a CBC (Complete blood profile), Serum Biochemistry Profile and probably test a stool sample and urine specimen. For a full-blown diagnosis, it could run you upwards of $1,500. Or, there is a more cost-effective way to mostly rule out Cushing’s Disease. It is a simple urine test called the urine cortisol to creatinine ratio test, or the UCC. A fresh urine specimen is taken in the morning and can determine if your dog is excreting an abnormally high amount of cortisol in his urine. Dogs that have cortisol within the normal range do not have typical Cushing’s Disease. Urine Cortisol: Creatinine Ratio. If this first tests results are normal, then no further testing for Cushing’s disease is required. 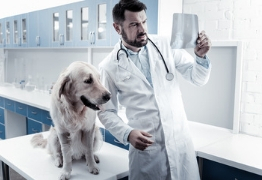 Dogs with high urine Cortisol: Creatinine Ratios, will require further testing. The next test will be a Low-Dose Dexamethasone Suppression Test (LDDST) and requires you to leave your Dog at the Vets for the day. A blood sample is taken to measure a dog’s baseline cortisol level, and then dexamethasone is administered in a small amount by injection. Blood cortisol levels are measured four and eight hours after the injections. In a healthy dog, the dexamethasone injection inhibits secretion of a hormone that stimulates cortisol secretion, which leads to a decrease in circulating cortisol levels. In a dog with Cushing’s disease, cortisol is not suppressed. The ACTH stimulation test confirms that your pet has Cushing's disease. There are 2 issues with this test. It cannot determine the type or cause of Cushing's disease and some dogs with pituitary or adrenal origin do not respond to the ACTH stimulation test. NOTE- Dogs that are showing signs of Cushing's disease due to the effects of corticosteroid-containing medications (called iatrogenic Cushing's) will show either a very mild or no response to synthetic ACTH injection. 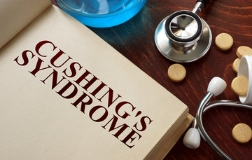 There is no single diagnostic test that will 100% conclusively confirm the diagnosis of Cushing’s Disease! How long do dogs live with Cushings Disease? Most dogs with Cushing's disease will eventually require treatment but can live comfortably for several years. The mean life expectancy for a dog with an appropriately treated adrenal tumor is 36 months; for a pituitary tumor, it is 30 months. 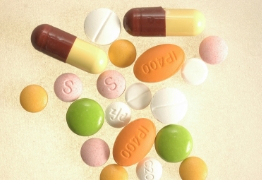 For a Pituitary tumor the most commonly used drugs are Trilostane (Vetoryl) and Mitotane (Lysodren), Another drug used for a Pituitary Tumor which is considered not as effective as Trilostane or Mitotane is called Selegiline Hydrochloride (Anipryl), which is used to mainly treat canine cognitive dysfunction. Developed originally as a drug called Eldepryl for Parkinson’s patients, the active ingredient Selegiline increases the concentration of a chemical called dopamine, which stimulates dopamine receptors in the brain and thereby assists in many cognitive processes. It’s amazing how a drug intended for human Parkinson’s Disease is now a drug helping dogs with Cushing’s Disease think, act and focus like their younger selves. 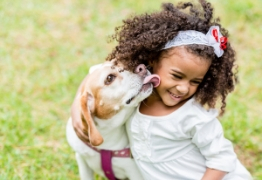 Because Anipryl is so cognitive focused, dog owners have made statements like, “It has brought my dog back.” But again, along with the good with Anipryl comes a laundry list of side effects. For an Adrenal Tumor. treatment is abdominal surgery and it is risky and requires a very experienced surgeon. 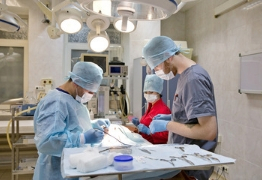 If the surgery is successful and it is not a malignant tumor, the dog may be healthy. If surgery is not an option, Lysodren which is a drug of chemotherapy is able to erode the cortisol-producing layers of the adrenal gland. For Iatrogenic Cushing’s disease. treatment requires the gradual discontinuation of the steroid being given under a Veterinarians close supervision. When tapering off steroids that have been administered for many years there is a risk of an Addisonian Crisis and a dog going into shock. Herbal formula to help relieve common symptoms of Cushing’s Disease in cats & dogs.